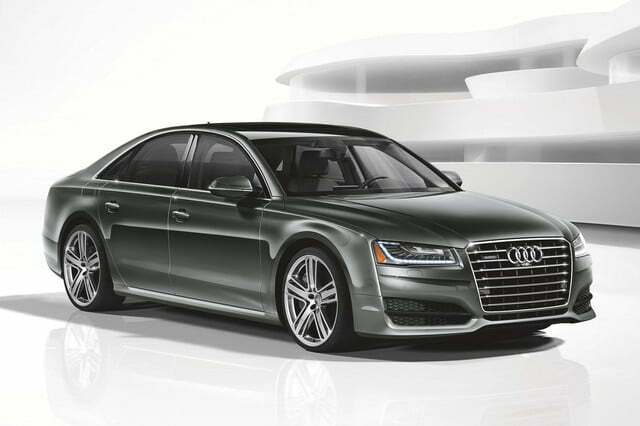 Audi has revealed its 2016 model year A8 L 4.0T Sport. That’s a whole lot of letters and numbers, but it basically boils down to a warmer A8 long-wheelbase version that slots below the super-powered S8. This year, Audi has turned up the heat on the 4.0T Sport to 450 horsepower, up 15 horses from the previous year. The same 4.0-liter twin-turbocharged V8 is underhood but the luxury liner now wears a more aggressive body. The front bumper side skirts, and rear bumper have been lowered to create a squat stance. Also new is the A8 L’s set of 20-inch multi-spoke alloy wheels wrapped in all-season tires, or for more coin, buyers can add 21-inch wheels wearing summer tread. The 2016 model year has done away with some of the previous year’s chrome trim as well. 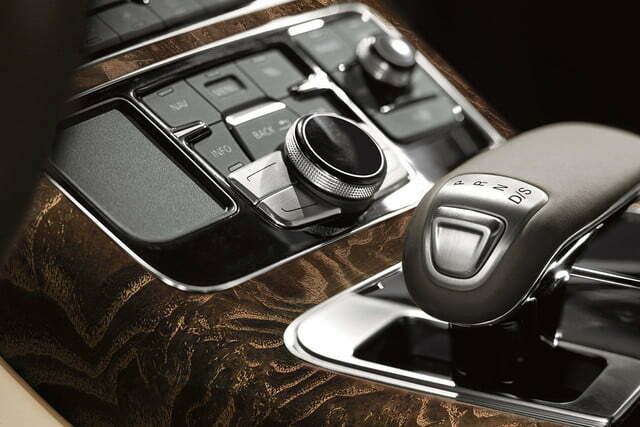 Inside, the A8 L 4.0T Sport gains the Executive and Luxury equipment packages as standard, including 22-way comfort front seats with Valcona leather, a panoramic sunroof, Alcantara headliner, and acoustic windows. 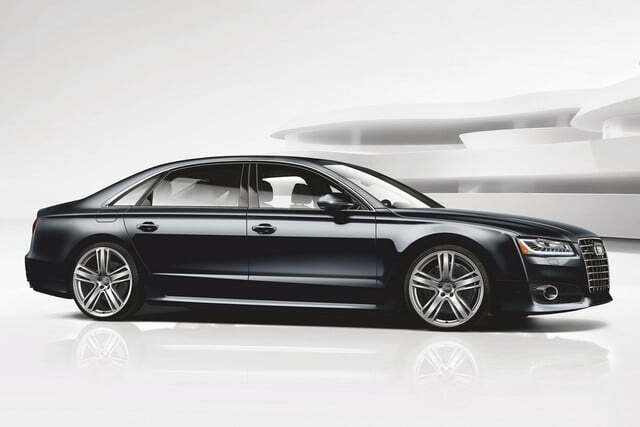 Optional is Audi’s adaptive cruise control system, a head-up display, and the automaker’s suite of safety technology. The brand’s range-topper will rival BMW’s redesigned 7 Series, specifically the 750Li variant, and Mercedes-Benz’s S550 long-wheelbase. BMW’s full-size competitor makes a hair less power than the Audi, with 445 horsepower from a 4.4-liter twin-turbocharged V8 while Mercedes-Benz counters with a 4.7-liter bi-turbo V8 making 449 horsepower. For Audi’s now-sportier 4.0T Sport, you’ll need to hand over $91,425 MSRP (including destination), which is a few thousand dollars cheaper than its rivals. 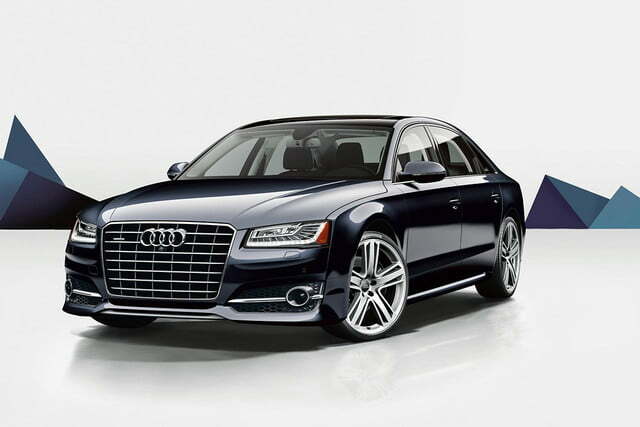 That said, Audi plans to replace the present design with the next generation A8 in 2017, so it might be worth holding out if you like the styling of Audi’s new Q7 and TT and their advanced technology.